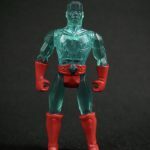 Crystar was a property created by Marvel Comics with the specific intent of licensing to a toy company. 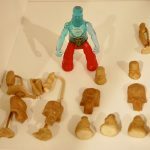 In this case, there’s obvious evidence of this, given that the first Crystar action figures saw their original release in late 1982 and the comic didn’t release until 1983. 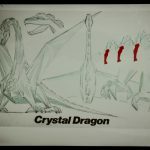 A Crystar ad on the back of a 1983 toy industry magazine. 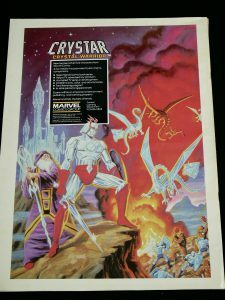 The Crystar universe existed within the Marvel Comic universe framework, and even featured appearances by Doctor Strange and Nightcrawler. 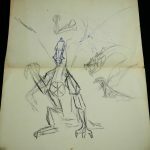 The story of Crystar pits the Forces of Order vs. the Forces of Chaos. 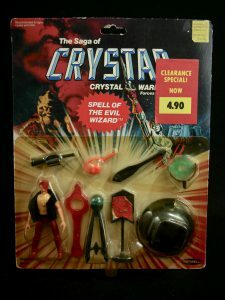 Crystar, the crystal warrior and leader of the Forces of Order, commands an army of Crystal Warriors to fight the Forces of Chaos. 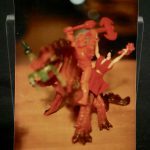 Moltar, who just so happens to be Crystar’s brother, commands the molten lava warriors of the Forces of Chaos. 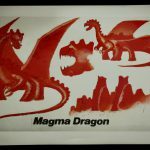 The toy line was created by Remco toys and featured seven unique carded figure offerings, four playsets (each was packed with yet another unique action figure), and two dragons (which also came with unique figures). 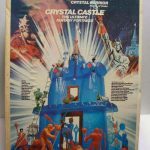 In addition to the figures and playsets, a Crystal Castle was released. 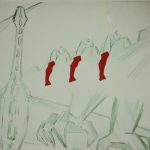 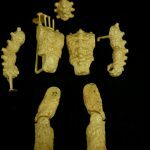 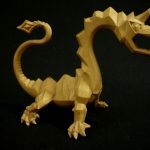 All of the figures were specifically designed and created with the intent of each fitting inside of the mouths of both produced dragons, as well as properly spaced legs to accommodate riding on the back spines of the dragons. 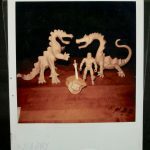 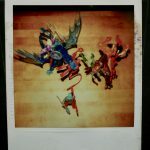 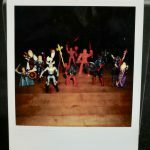 The polaroids below originated from the original sculptor that was contracted by Remco to bring these toys to life, and demonstrate the figures fitting onto each dragon. 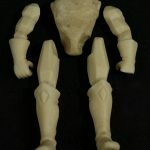 As a bit of a fun fact, the sculptor had previously worked on Kenner’s early Star Wars figures and would go on to also work on LJN’s Dungeons and Dragons and Thundercats figures. 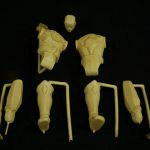 Next are the final wax sculpts created by the sculptor. 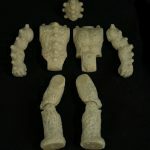 As another interesting point, the Moltar torso was sculpted in two halves (something that was quite different than the standard one piece torso sculpt). 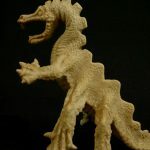 The sculptor provided the background that he had heard of and seen the work done by Bill Lemon, who was well-known for sculpting in Acetate rather than wax which resulted in a two part torso (Lemon was considered by many to be one of the most notable toy sculptors) and he wanted to prove to himself and others that he could sculpt as well as Lemon. 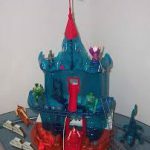 The Crystar castle is a relatively simple but visually impressive playset, especially for the time. 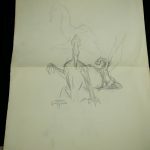 This piece is quite difficult to find in any condition, let alone complete or boxed. 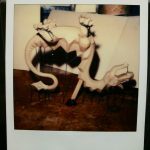 It’s a very fragile set and includes a number of easily lost accessories.